The scanner f’d the colors and I was too lazy to do anything but changing the contrast a bit. There are some white bubble in the water but you can’t really see them. Better in person. 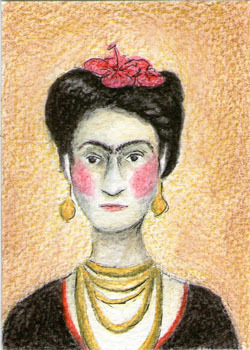 Never had drawn Frida before. 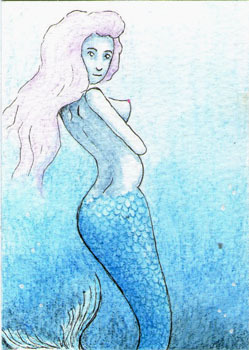 This entry was posted in Handmade and tagged atc, fantasy, inktense, mermaid, people, portrait by Halla. Bookmark the permalink.